Hi, I’m Nate. And this whole thing is my fault. I’m just your average dorky, slighlty spazzy, shaggy haired, left-handed animator living and working in SF. Some of my favorite things are Mountains, Coffee, songs I can listen to on repeat for days, playing the piano poorly, and gummy sharks. Some things I’m not super fond of are mint chocolate, green peppers, and spiders that want to be friends. Want to support leveL? Buy Nate a coffee, he lives off it! I just wanted to let you know that I saw found your comic through a post over on reddit and I thought it was amazing. I hope more people look at life this way. Thank you for the smile today. Aw, thanks for the compliments on that comic I made…it’s so awesome people are connecting with it, cause it’s a message I feel pretty strongly about actually. And your smile made me smile :D Infectious smiles…INFECTION! EVERYONE RUN, IT’S SPREADING!!! Amazing. Just found your comic and I love it. I’m hooked. Hey Harry! Thanks so much for reading, I’m glad you stumbled on it and are digging it :D Welcome to leveLLLL~! Hey I saw one of your comics on imgur where someone posted something of yours. I saw they posted a link to your website and I’ve been reading level and it’s really good. You have a lot of talent man. Just Amazing, I couldn’t stop reading it. Glad I saw your comic on Imgur and hope to see more! When you said you love any art that comes out of France, do you mean music as well as other art? I was reading the scene in 01.02.43 where Rain drops his dagger and he said “Daggerrrr… …Come back to meee” and it reminded me of a line in my favourite song, Arabest by the French musician SebastiAn. I was wondering if this was a reference. Also, I love the comic, can’t wait for the next update! Thanks so much for reading, and happy you are sticking around for more! Saw your comic about the impact of words on Imgur and Reddit and decided that I am going to print it out and put it on my office door (with full credit to you, of course!) I have voted for your comic and favorited it to read tomorrow!! I’m so happy that comic has brought so many folks this way, it’s been amazing! I hope you get a chacne to read it, if you do let me know what you think! Another guy that found your comic from that awesome reddit post 4 days ago and has just finished you comic. It’s amazing. I can’t wait to see what happens next. I hope it gets published when it’s all done. I found the first version of Level and i read through all of it, now that ive read this one I’m a bit confused about how the two comics are connected. Some of the characters are the same, but others aren’t. Can some one please explain. Also the comic is amazing, the style is awesome and just the story line is great. Thanks for putting in so much into this comic. Hey there Nate. Used to read the old LeveL way back. Found the new site after I made an effort to see if maybe you had started a new comic after abandoning the old site. Oh, and on my screen (1680x1050p), the “Latest Update” button is misaligned on the front page. It’s significantly larger and to the left of the actual text. So maaaaybe I just added you on Facebook because I think you have a beautiful mind and your passion inspires me…. …. hope that’s not creepy. Hey! I was looking up who had done the art for the Halloween Google doodle and your name was on there so tada! I came here and read your awesome web-comic and now I’m addicted! Thanks for sharing your comic and I can’t wait for the next chapter (but of course I will muster up all my willpower to do so). I can’t wait to see if/how/when these characters are related/correlate to each other!!!! Cats are terrible. No one suohld have them, because this is what they do.I can’t even like people that are cat people. What don’t they understand about cats being vicious bloodthirsty animals? I mean who would want to own a creature that responds to love and affection by using any of your accessible body parts as a scratching post?In closing, cats are evil and suohld be given a taste of their own medicine. I propose that next time everyone sees a cat, poke it in the eye. Pull on its tail. Then, for the love of god (and your life), RUN. 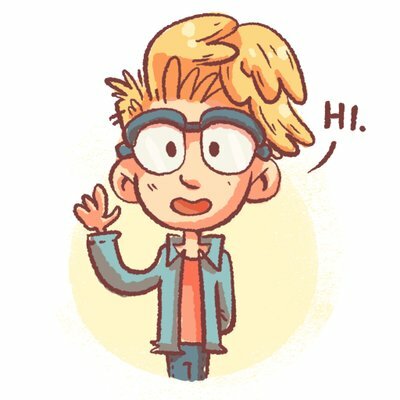 Hi Nate – love your comics, keep it coming our way. Also, I was reading google ( http://heavy.com/news/2016/12/first-day-of-winter-solstice-2016-google-doodle/ ) about the timing of Winter: “Doodler Nate Swinehart created a family of anthropomorphized rocks to commemorate the winter equinox. After tonight’s long darkness, we’ll look forward to the sun hanging out a little longer each day,” Google says. Now I’m confused, References were made to the winter solstice, and then I learn from you there might also be a winter equinox. Come on – is it solstice or equinox ? It’s been almost a decade (of not slightly more, since I’ve last really looked into leveL. I remember when you moved to Japan! My name on this post should bring back some memories for you…especially since I was your highest level moderator/admin on your old leveL forums. Glad to see you’re doing well and back at it again! Whoa really?? I didn’t see that, that’s awesome!! WELL it’s good to see you back around! And yes just in time for updates to resume :3 Exciting things ahead! !